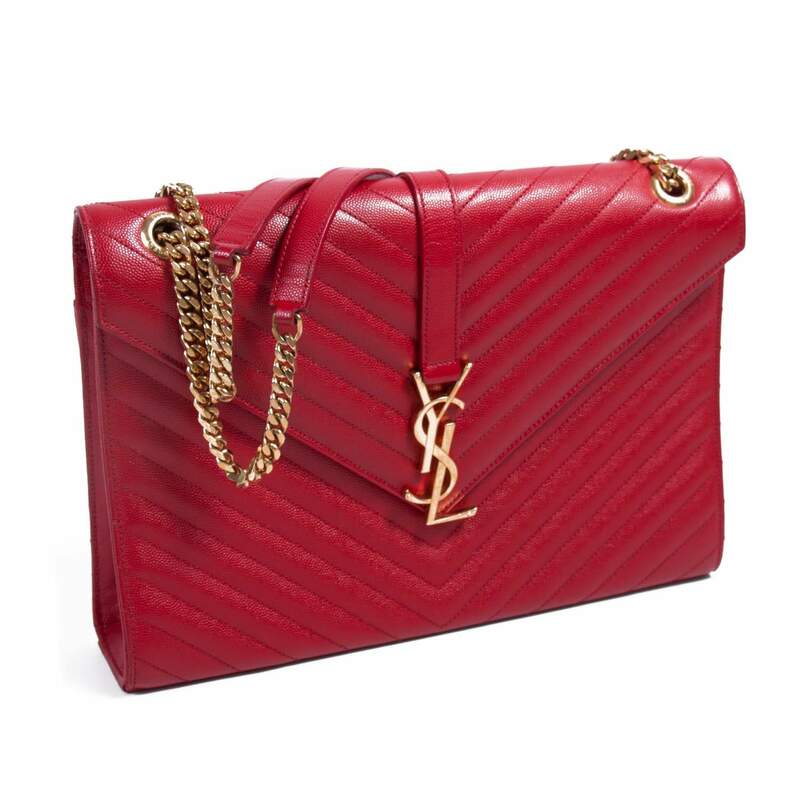 Elevate your everyday looks with this reliable Monogram Envelope shoulder bag by Saint Laurent. 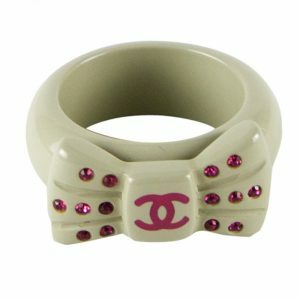 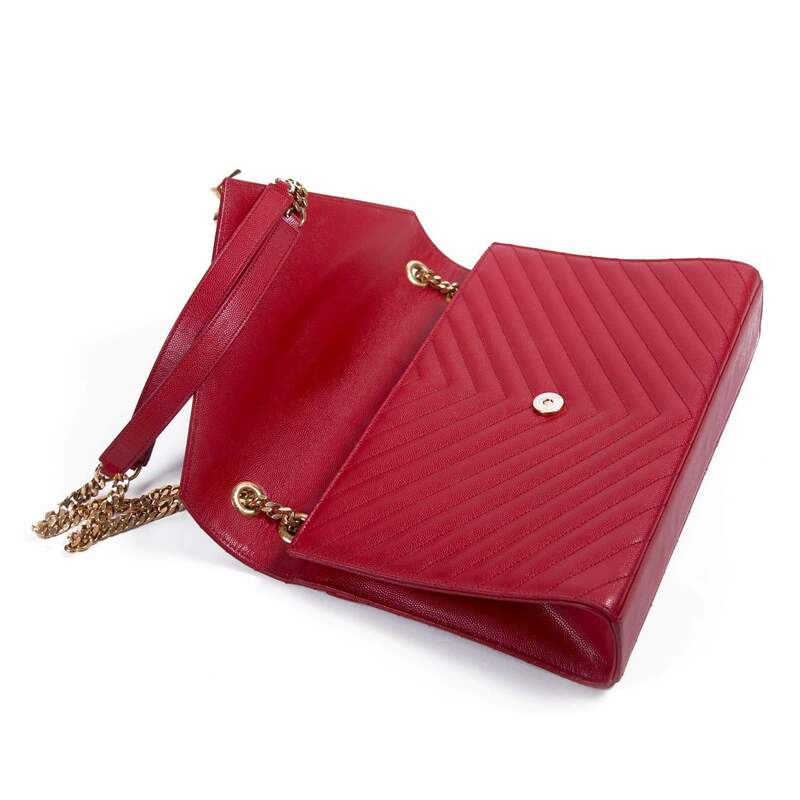 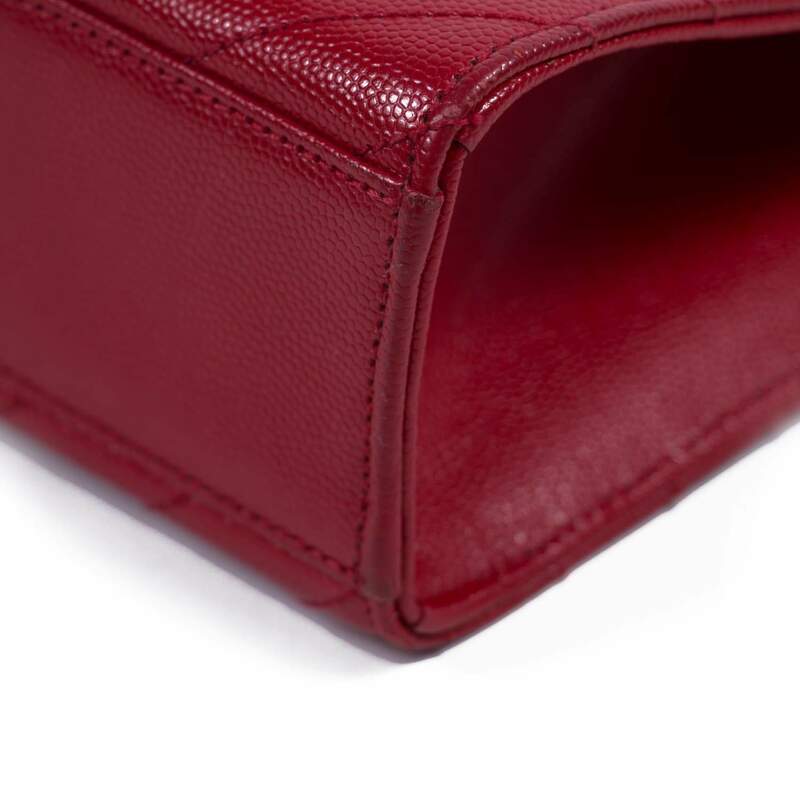 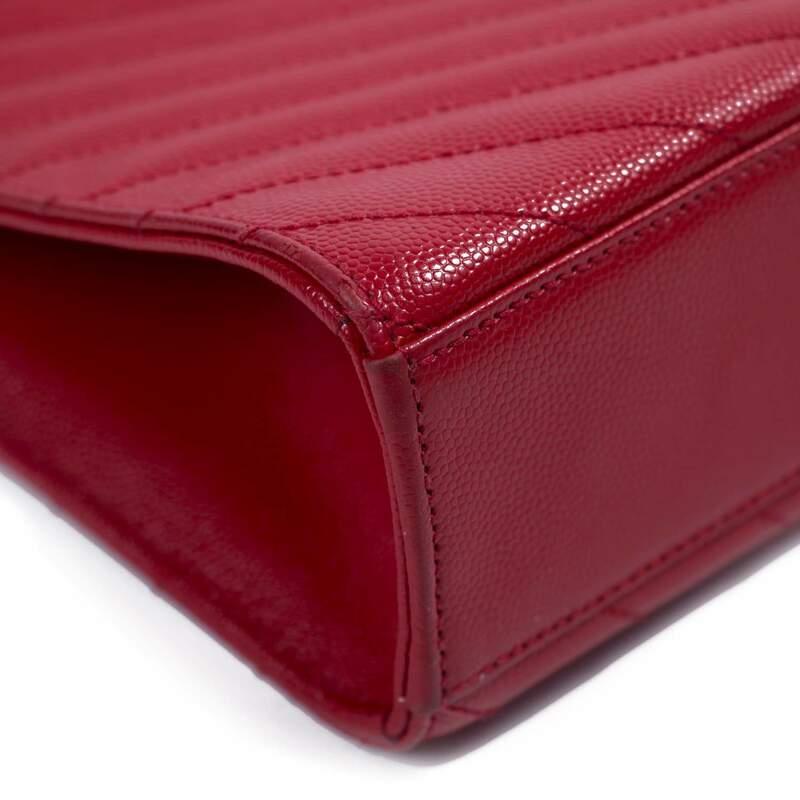 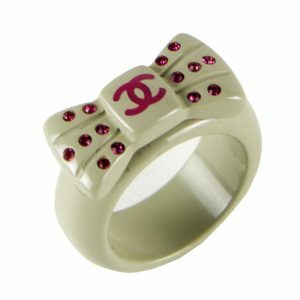 It is crafted from leather in an understated Red hue. 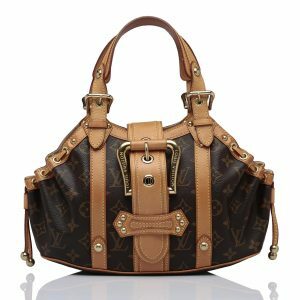 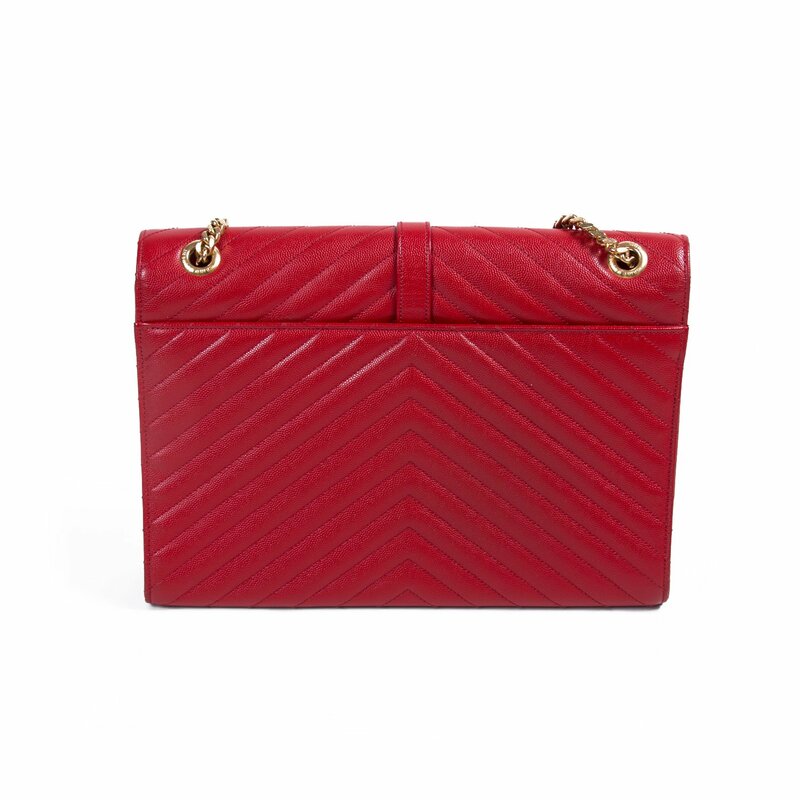 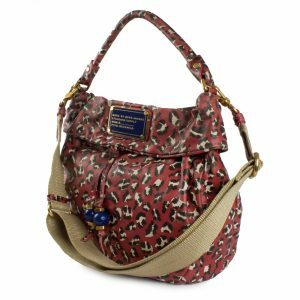 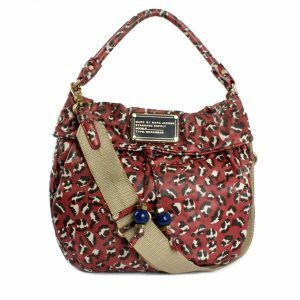 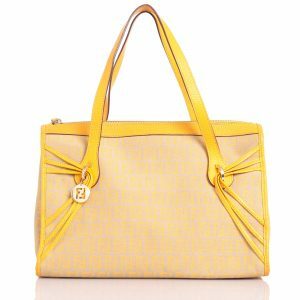 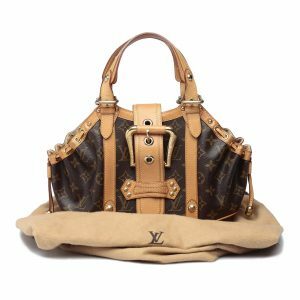 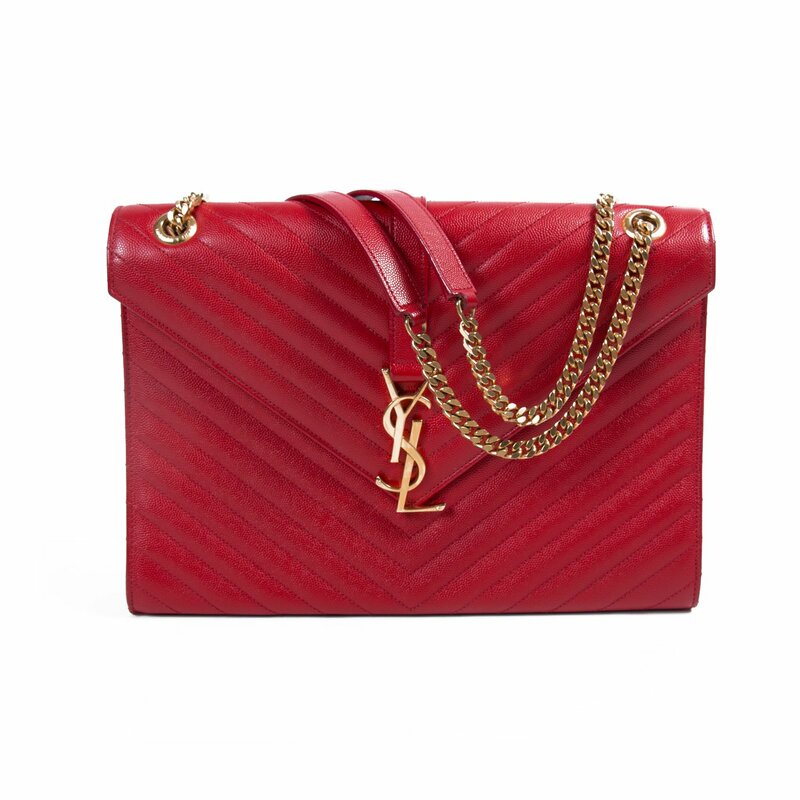 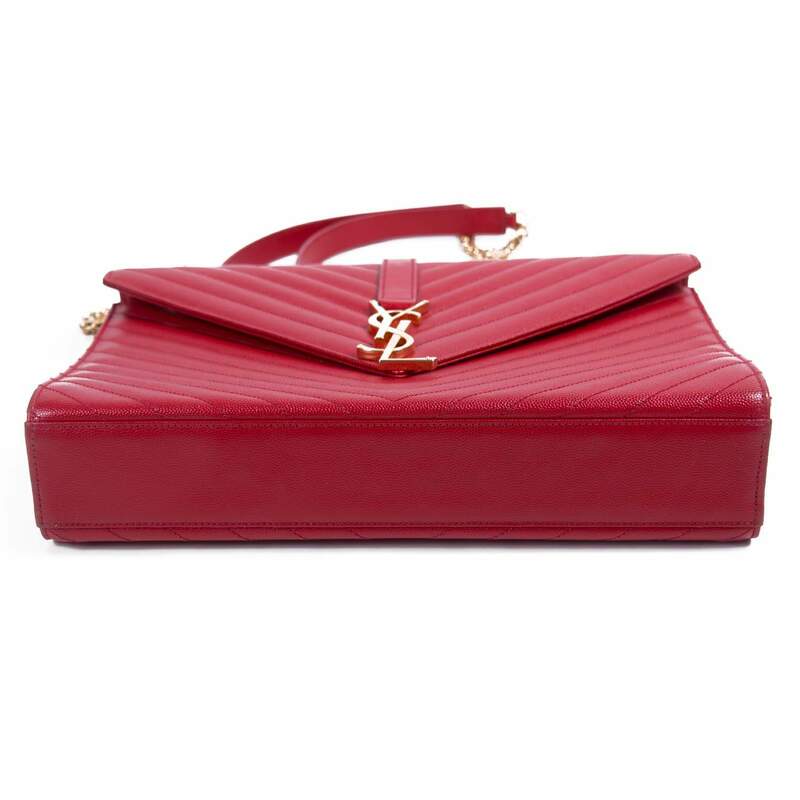 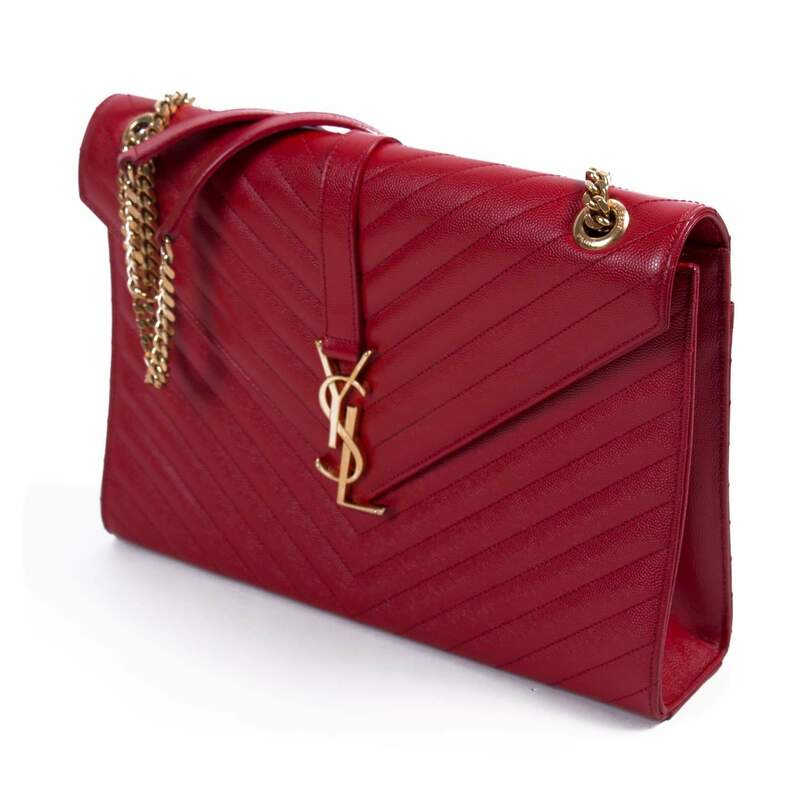 It features the YSL logo in gold-tone on the front flap, and the bag is designed fabulously in a chevron pattern. 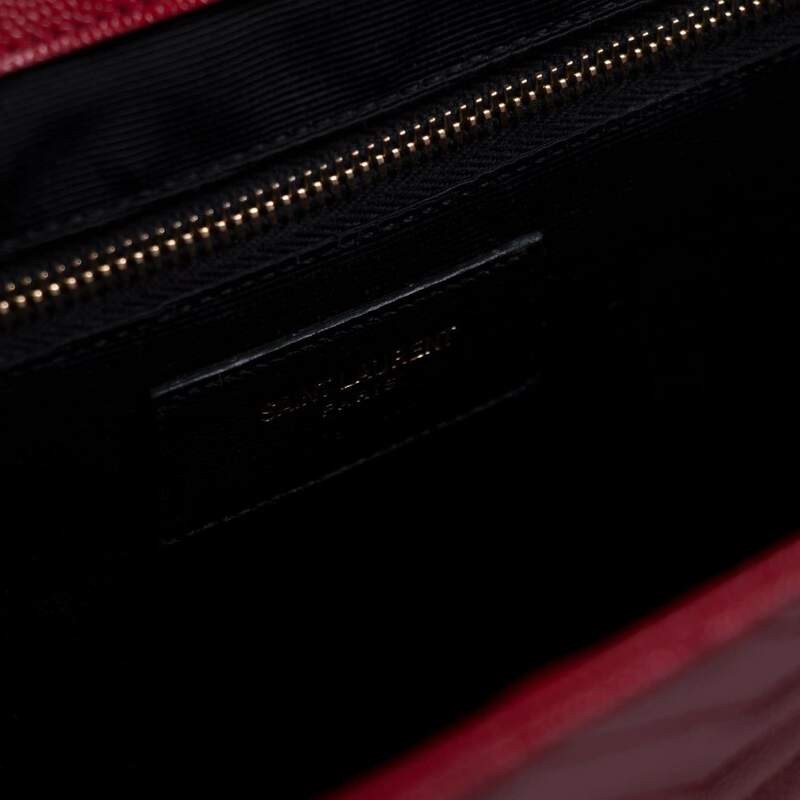 The flap opens to reveal a fabric lined interior which features a zip pocket. 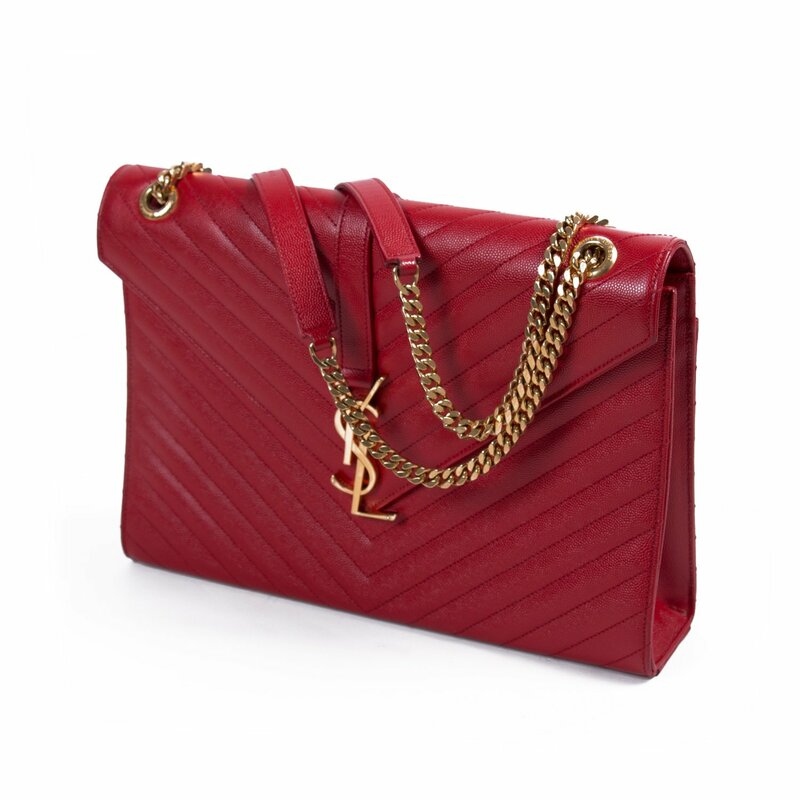 This creation is complete with dual chain-link and leather shoulder straps.